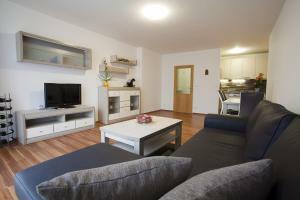 Spacious Prague Flat Situated in Prague city and the Wenceslas Square reachable within 6 km, Spacious Prague Flat offers a self-catered accommodation with free WiFi available in all areas and free private parking is possible on site. 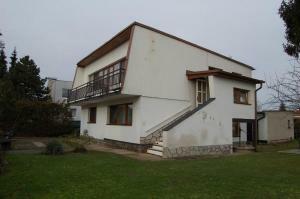 Spacious Prague Flat comes with a TV, a seating area, a well-fitted kitchen and a private bathroom with a bath tub and a hairdryer. 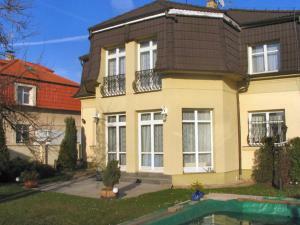 The property is 800 metres from O2 Arena Prague, 6 km from the National Museum and 6. Apartment Gabriela price per day from €32 Set in a residential area at the edge of Prague, Apartment Gabriela is a modern and bright apartment offering amenities like free WiFi and a terrace with garden views. The Old Town’s Square can be reached within 20 minutes by car or within 40 minutes by public transport. The apartment is located on the ground floor and comprises a bedroom, a kitchen with a fridge, a dining area and a flat-screen TV, and a bathroom with a shower and a hairdryer. Residence Eliska Tower price per day from €55 Located in the Rezidence Eliška, the highest residential building in the country, the modern Tower Apartment Eliška offers a fitness centre, free WiFi and a location in Vysočany, 1. 3 km from the O2 Arena Prague. The apartment is situated on the 22nd floor and features a balcony with a seating area and Prague views, a sofa and a flat-screen 3D TV with cable channels offering 130 programmes, a Blu-ray player, a full kitchen with a dining table, a bathroom with a shower, free toiletries, a hairdryer and a separate toilet. Apartments Nademlejnská price per day from €28 Located on the 12th floor of a building with an elevator, Apartment Nademlejnská offers self-catering accommodation in Prague, just 360 metres from the nearest tram stop. Prague centre is reachable within 17 minutes by public transport. 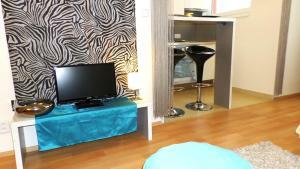 The apartments include a seating area, an equipped kitchenette and a bathroom fitted with a shower. 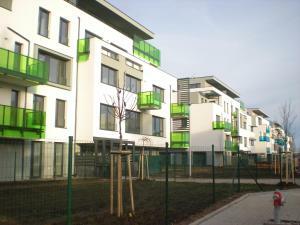 The nearest grocery store can be found within 50 metres from Apartment Nademlejnská, whilst the closest supermarket is 800 metres away. Hostel Kolbenka price per day from €28 Found 3 km from the PVA Letňany Exhibition Grounds, Hostel Kolbenka offers free Wi-Fi access, a shared kitchen, a 24-hour front desk and a location 200 metres from the Kolbenova Metro Station. Breakfast can be arranged for groups of 15 and more people for a surcharge and a vending machine can be found on site. 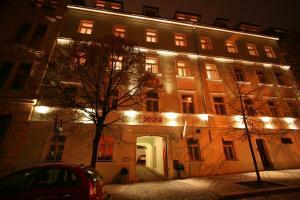 The hostel is close to three of the major Prague malls, Galerie Fénix 500 metres, Centrum Černý Most 3 km and Obchodní Centum Letňany 5 km away. 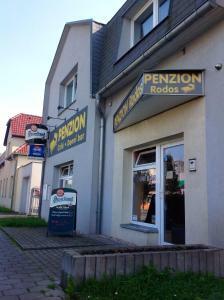 Penzion Rodos - Café price per day from €34 Located in the outskirts of Prague in Horní Počernice, Penzion Rodos - Café offers free WiFi, a garden with a terrace and a location 12 minutes from the metro by bus. The rooms all have a seating area with a flat-screen TV, a radio, a desk and a refrigerator. Breakfast is served every morning and drinks can be enjoyed in a bar of the guest house. The Centrum Černý Most Shopping Centre can be visited 3 km from Rodos - Café Penzion. 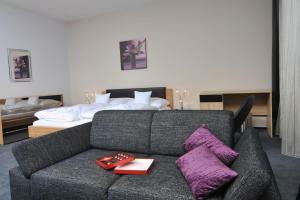 Clarion Congress Hotel Prague price per day from €60 Located next to the Vysocanska Metro Station, Clarion Congress Hotel Prague boasts a shopping mall on site. The wellness and fitness facilities can be used free of charge during certain times of the day. 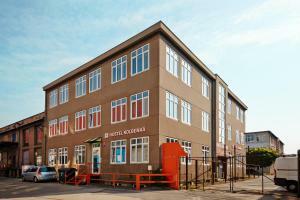 All rooms offer free wired and Wi-Fi internet access. 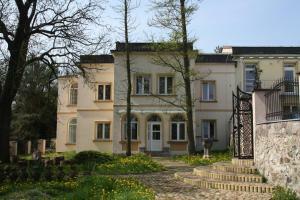 They are air-conditioned and feature a private bathroom. 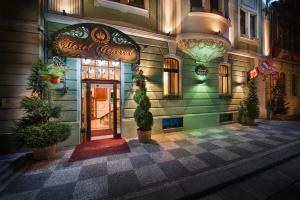 The Clarion hotel houses 3 restaurants serving French, Czech and international cuisine.